Venice, the capital of northern Italy’s Veneto region, is steeped in history, from tales of Casanova to the debauched goings-on of Pope Alexander VI. 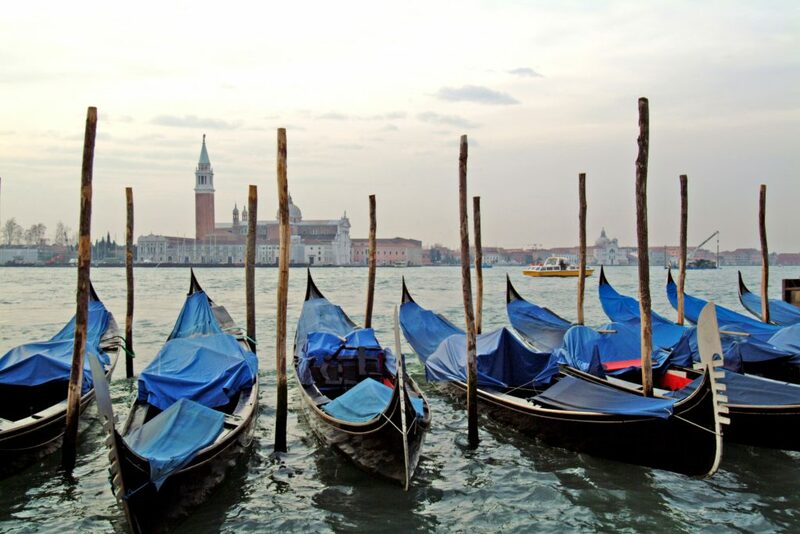 With no roads, just canals, including the Grand Canal thoroughfare, the 18 small islands of Venice are lined with Renaissance and Gothic palaces that give this city its distinct character. 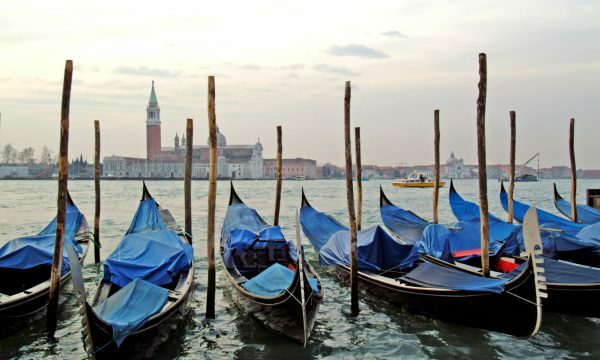 However, Venice is much more than just the obligatory Piazza San Marco and Rialto Bridge. My advice is to just get lost. Take that suspect looking right turn that looks to be a dead end as you may find a hidden gem. With so many beautiful Piazzas, canals and architecturally stunning buildings, not to mention the nonchalant attitude of the locals, Venice truly feels like a world of its own. Aperol spritz at 11am? Why not! Four-hour lunch? It would be rude not to! Waste an afternoon overlooking the Grand Canal? Count me in! Whatever you do do in Venice, don’t get hung up on the “What to See” or “Top Ten” as inevitability you’ll stumble across them (Venice is really small and the public transport is really easy to use). If you really want to see ‘real Venice’, spend some time during weekdays (not weekends) around the Dorsoduro area, especially Campo Santa Margherit, which is a huge student district. While here, have a cocktail at Café Rossa and hit up Café Duchamp for the sunshine. 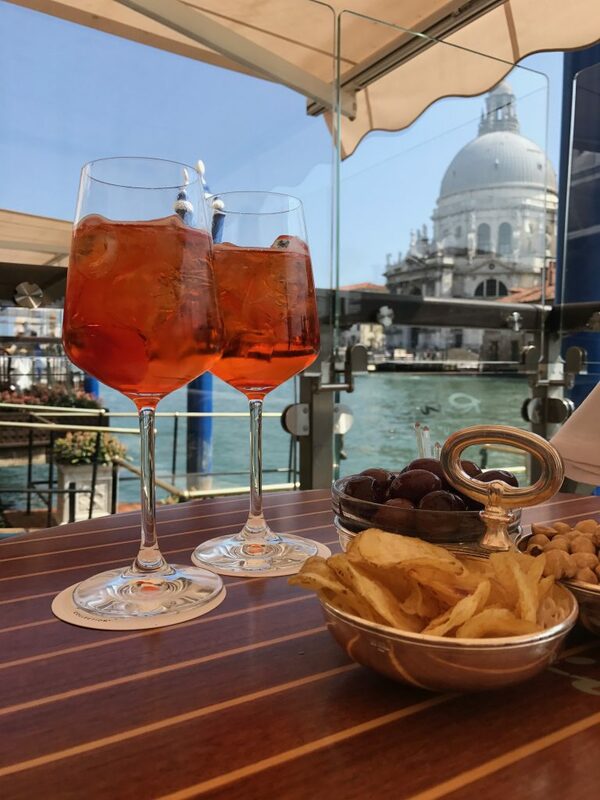 For a fantastic authentic Venetian experience go to Campiello Del Remer between 5-7pm for a happy hour buffet of lush authentic finger food and risotto. 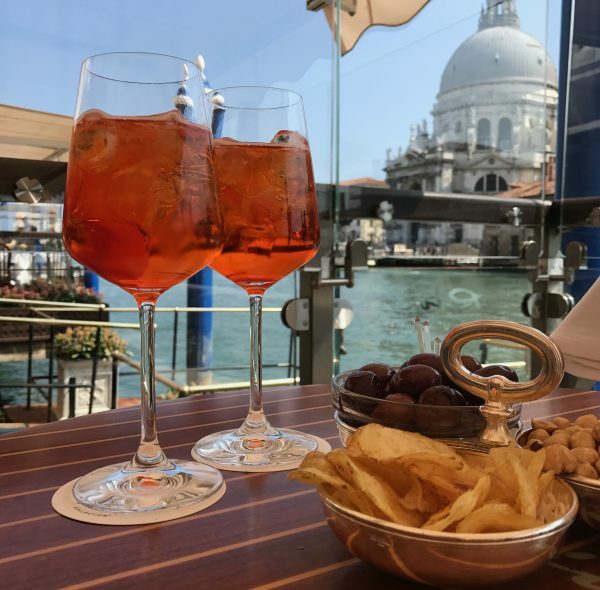 It’s just €8 with a glass of prosecco, stunning views over the Rialto Grand Canal, and zero tourists. 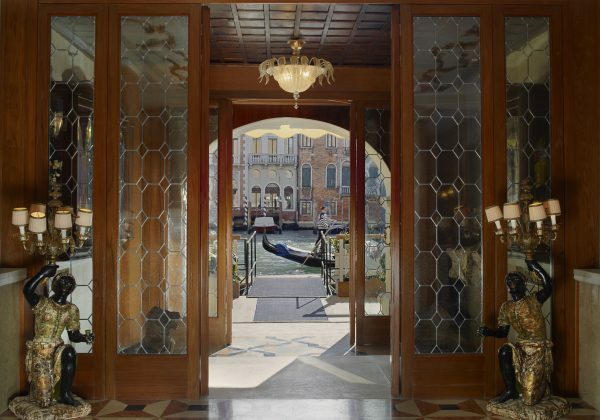 However, if money is no object and you are after an out-of-this-world five star experience with all the glitz and glamour of a bygone era, then there is only one place for you: The Gritti Palace. Part of the Luxury Collection Hotel, The Gritti Palace reopened following a meticulous €35 million restoration in 2013, bringing the historic building back to its original grandeur. 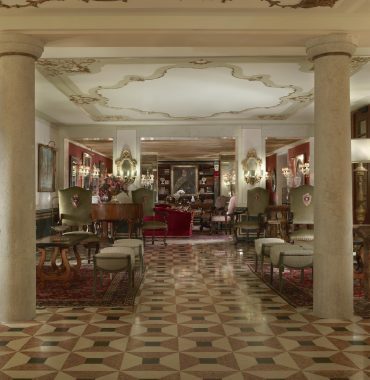 Facing the majestic Santa Maria della Salute and the steps from Piazza San Marco and La Fenice Theatre, The Gritti Palace was transformed into its current Gothic shape by the Pisani family in 1475 and became the private residence of the Doge of Venice, Andrea Gritti, in 1525. In the centuries that followed it was home to other noble families and illustrious visitors before being converted into a luxury hotel in 1895. The Gritti Palace is the palace in the heart of Venice where generations of global travellers and influences have gathered to experience the city’s social and cultural scene. The design of the restored interiors was inspired by its historic role as a centre for celebration and patron of the arts. The newly restored hotel features 61 luxurious guest rooms and 21 sumptuous suites, including suites with impressive canal views. 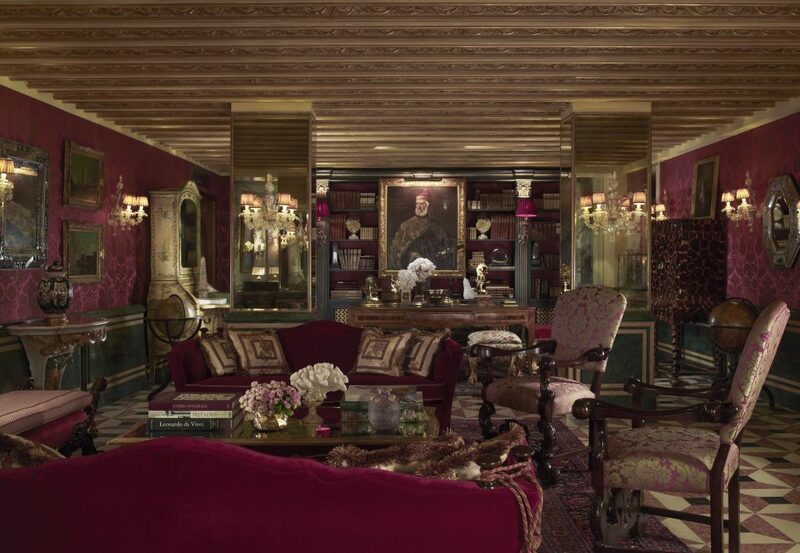 Cloaked in rich period colours, all rooms feature local design elements including Venetian tapestries and velvets, unique pieces of furniture such as Rococo couches, handcrafted gilded mirrors and Murano glass chandeliers. Our room was frankly mind-blowing, with a canal view from the balcony and a stunning interior in muted tones of blues and aquamarine. The pièce de résistance was the freestanding bath in the room with views of the canal and the bank beyond. 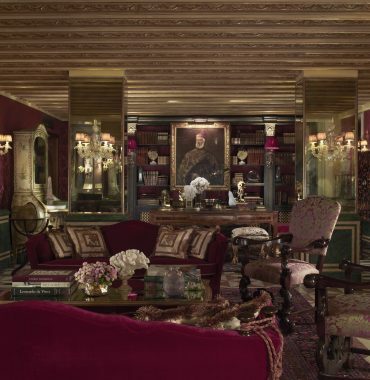 This was the perfect room from which to explore Venice or to cocoon oneself in with your loved one living like decident Venetians of yesteryear. 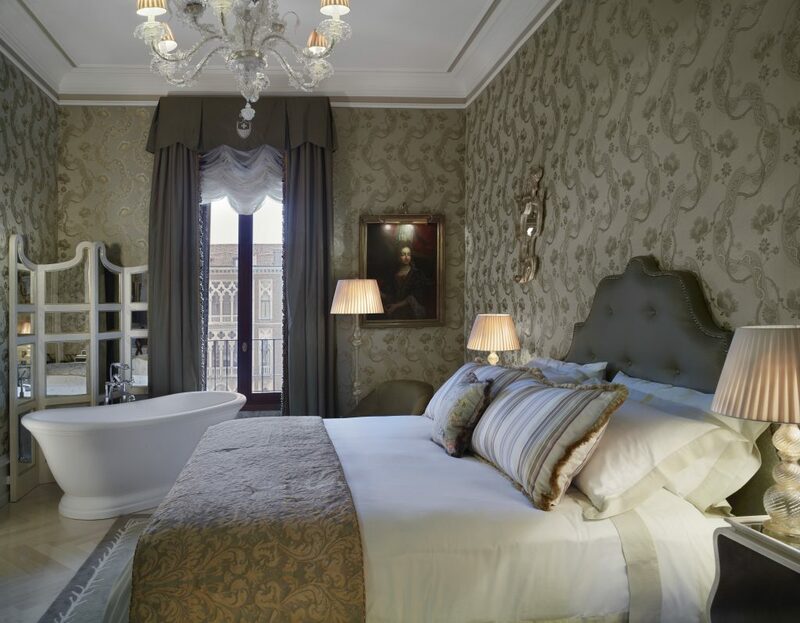 Located supercentral The Gritti Palace is perfectly positioned from which to visit the Piazza San Marco, which contains tourist favourites St. Mark’s Basilica, the Doge’s Palace and the Campanile bell tower offering views of the city’s red roofs and waterways. Instagram heaven. The square also houses some of Venice’s best museums – the Museo Correr has a great view of the square from the first floor restaurant, as well as some great pieces of historical art and antiques. A word to the wise: avoid the cafés in this square, they’re a tourist trap and you need only go one street over or so to find a better deal on lunch or aperitifs. 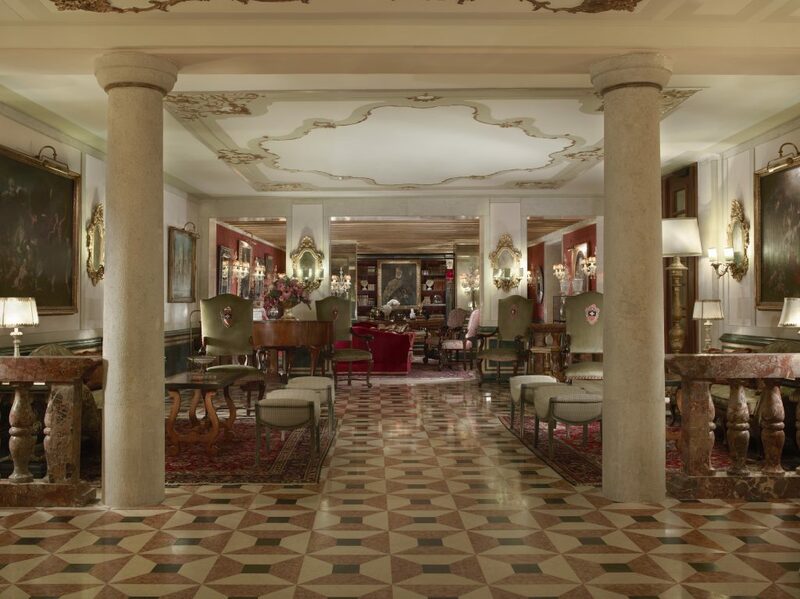 On the note of good food and drinks The Gritti Palace is also home to the famous Riva Lounge, which is tailored around the materials used in the design of the Riva Yacht. The look and feel of this seasonal 36 seat, 55 square meter Riva Lounge on the iconic Gritti Terrace reflects the Riva Aquarama Lounge at the Monaco Yacht Club, it is the perfect place for a mid afternoon Aperol Spritz or two while watching the boats go by. 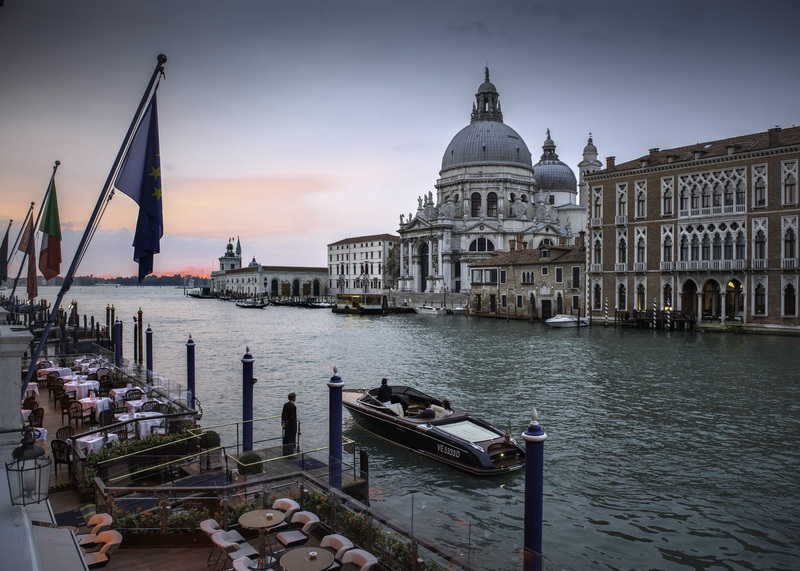 Located on the adjacent terrace is the Club del Doge restaurant, which celebrates Venetian culinary traditions and is set overlooking the Grand Canal. The restaurant continues to be the social hub of Venice and is designed to bring back memories of the elegant wooden decks of Italian yachts of the 1930s. Our dinner was as sublime as our stay; the staff were so attentive to every request (including a cheeky cheese course) and the food was spectacular both in taste and presentation. Club del Doge is the perfect restaurant for a celebration or special date (especially if a certain question is to be popped) – and definitely worth the price unlike many of its counterparts. 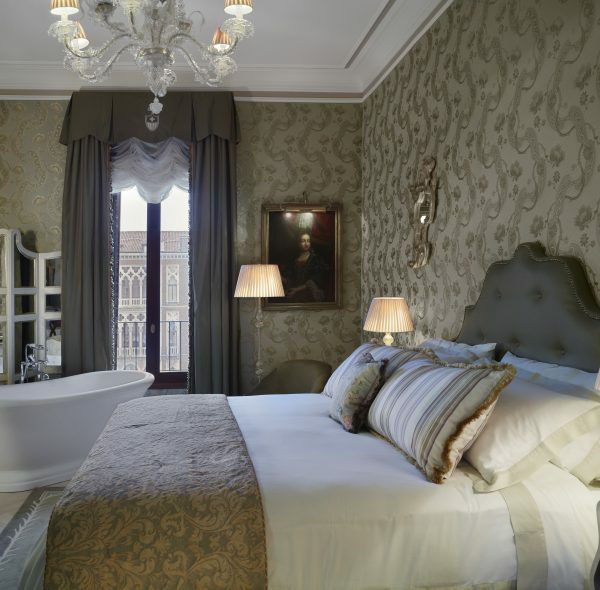 The Gritti Palace is one of the most picturesque city hotels I have ever visited and I can understand why their clientele return time and time again. From the moment you cross the threshold you feel like royalty, the building is magnificent with beautiful interiors and artefacts, the restaurants and bar are an Instagrammers dream with beautiful vistas and food and the staff are friendly and attentive. I could have spent many hours on the balcony of our room watching the world go by; imagining myself a Venetian from the time of Casanova watching the passings of the rich and famous on the Grand Canal. 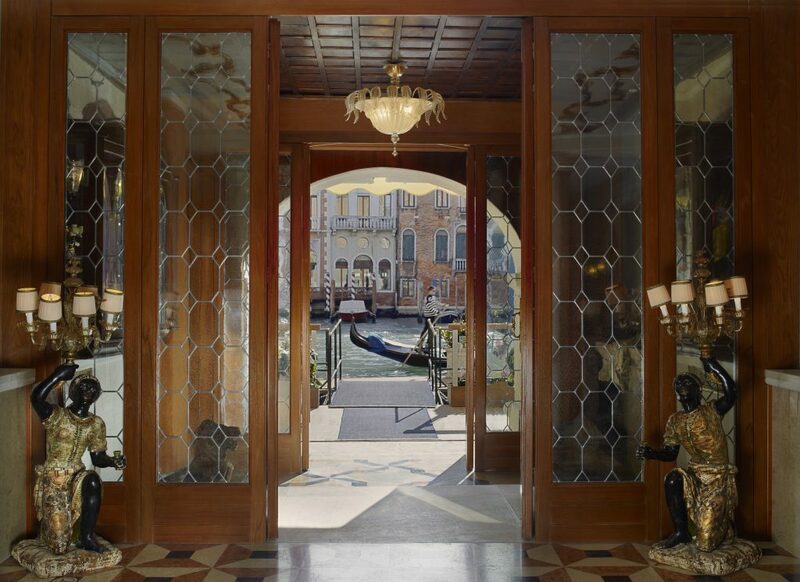 Venice is a magical place in itself however to take the magical to the divine one must stay at The Gritti Palace, your heart, soul and stomach will not regret it!